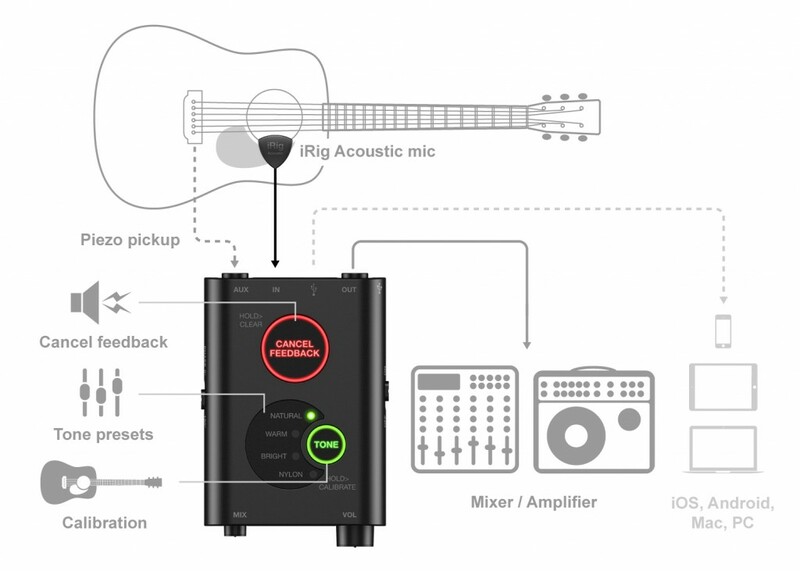 I recently had the chance to try out the IK Multimedia’s iRig Acoustic Stage, and found out that it is a painless interface for recording my acoustic instruments, such as my guitars and ukulele. It also comes in at a reasonable price point, so it will not break the bank, either. IK Multimedia is an Italian company that has been around for 20 years, and they have found a niche of catering to musicians that are looking for digital solutions that have an analog sound. 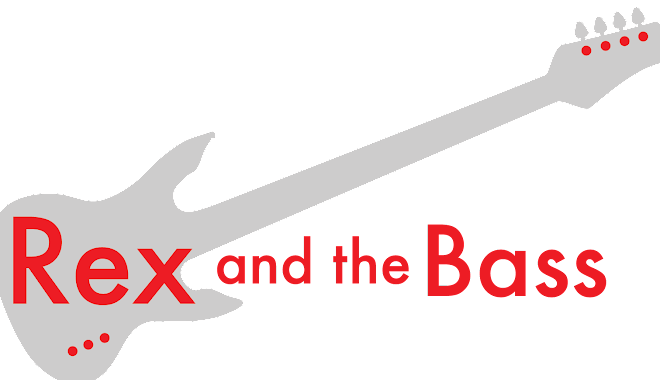 They make a lot of cool products, including killer amp and bass emulation software, tons of plug ins, and some handy hardware for recording. I reviewed their MODO BASS software last year, found that it was a good product, and had a blast trying it out. 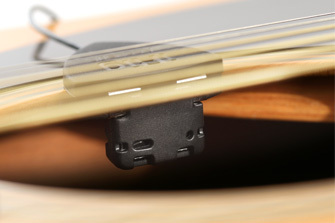 iRig Acoustic Stage is one of the company's newest products, and it is a complete package that builds on their popular iRig Acoustic system. The hallmarks of the original system are all there, and set-up on the instrument is still super-easy -- all that needs to be done is clipping the microphone onto the soundhole (or f-hole). This non-permanent installation makes it easy to switch the mic to different axes. This is a MEMS (MicroElectrical-Mechanical System) microphone, similar to what you find in you smart phone; it is a durable unit with a flat frequency response. It has a built-in lead with a 1/8-inch jack on the end and a 1/8-inch splitter in the middle so you can send the signal to a pair of earbuds or a line out. 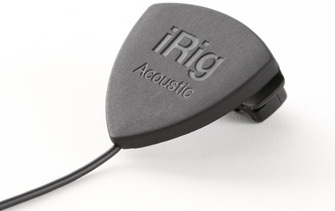 This interface is the heart of the iRig Acoustic System, and it can be plugged directly into and iPhone or an iPad. 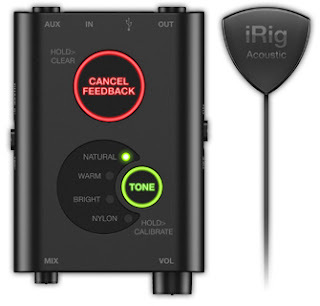 The microphone cable can also be plugged into the brand new IK Multimedia preamp and signal processing module, which is what differentiates the iRig Acoustic from the iRig Acoustic Stage. Two AA batteries power this unit, and it can be clipped to your belt or strap. Features include a preset tone button, a feedback kill button, a volume knob, a phase switch, and a mix knob so you can mix the iRig output with the guitar’s onboard pickup (if equipped). 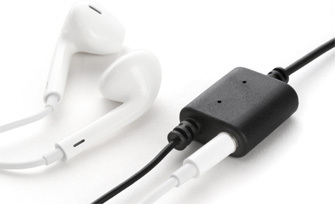 There is also a 1/4-inch output and a mini USB out for recording purposes. 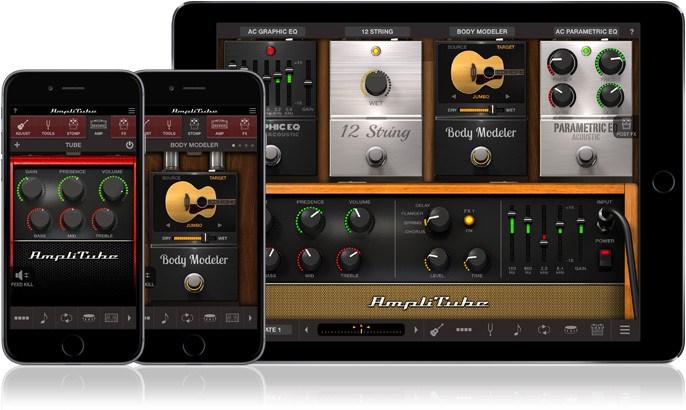 And lastly, the remaining part of the equation is the free app that can be used with the microphone, AmpliTube Acoustic. This app has a calibration process that measures the instrument’s frequency response and optimizes the setup. AmpliTube Acoustic also has emulations of two solid state amps and one tube amp, each with built-in effects, such as compression, graphic and Parametric EQs, a 12-String emulator, and an octave pedal. Also, there is a “Body Modeler” that converts the sound of your guitar into another style of guitar. Recording features include a 4-track looper, an 8-track recorder/DAW, a speed trainer, and a digital tuner. There is also the option of routing the audio to a GarageBand track using the Inter-App feature. So, I gave the iRig Acoustic Stage quite the workout. First, I loaded the software onto my iPhone SE and my iPad Air, and tried out the microphone on a Martin D-18, a Takamine EF341SC, and my Kala SMHT soprano ukulele. I set the preamp aside for a bit and ran the microphone straight into my iPad and iPhone, and was impressed with the simplicity of the set-up; I was up and running in no time. The tone was clear on all of these instruments, and it was handy to have a non-powered microphone set-up for quickly laying down a few tracks. The free app software worked seamlessly, and I was able to get a good tone fairly quickly with minimal changes in settings. If this is all you need to accomplish, you do not really need much more than the $50 original iRig Acoustic set-up, but I believe this will only work on IOS devices. With the preamp and signal processing module added into the equation, you can use this system for most any application, as long as you have the cables to make it work. I tried a few different set-ups, mostly with the Takamine, which has an onboard pickup. Running the iRig signal only into an amplifier, the sound was clean and perhaps a bit more crisp than what I am used to with the factory pickup. When plugging the guitar’s output into the preamp, I was able to select a mix that was slightly heavier on the Piezo and was able to get a sound that was pleasantly woody, but still able to cut through very effectively. Throughout all of my tests, I did not run into any problems with feedback with any of my guitars or the ukulele. By the way, the ukulele was a lot of fun, and the system did a great job of recording it! One advantage of using the preamp and signal processing module is that it was a lot nicer to be able to use my MacBook Pro instead of my phone or tablet, as it was easier for me to dial in the controls on the app. I really dig the looper feature, and they have a lot of tempting upgrades that are available. 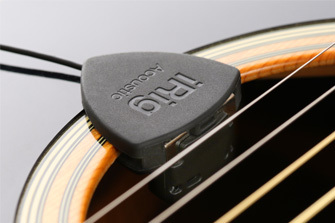 There is a lot more that I would like to do with the iRig Acoustic Stage, and I will continue to experiment with it. At this time, I do not really have any gripes with the components or software, though I am being very careful with the microphone lead, as the cable is thin and I am worried about pinching it and screwing things up. 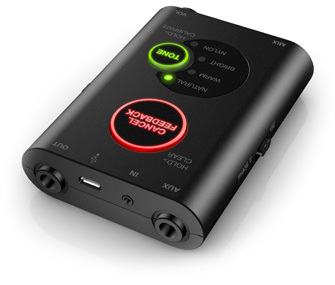 So, right out of the box, I am going to say that the IK Multimedia iRig Acoustic Stage is a winner, and it is well worth the $99 that it is selling for. All of the major online retailers are carrying it, so it should not be too hard to track one down if you want to give it a try!